Frederick Law OlmstedNational Parks Service Frederick Law Olmsted was an autodidact. Having given up college for medical reasons, he trained himself on the job for the various careers he later pursued: scientific agriculture, journalism and eventually landscape architecture. The position that would ultimately determine the remainder of his life and establish his national reputation was one that, to a large extent, he fell into due to the failure of his previous enterprises. Olmsted became a landscape architect because the architect Calvert Vaux invited him to collaborate on a competition entry for the plan of New York’s Central Park, which they won in 1858. 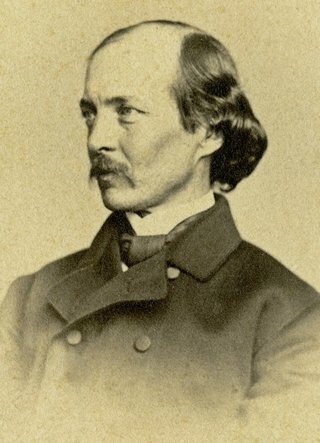 Yet Olmsted still sought other possible careers, including a period as the secretary of the United States Sanitary Commission (1862-63), established by private enterprise to address the medical needs of Northern soldiers during the Civil War. When the demands of that stressful position became unbearable, he accepted a surprise offer to superintend the Mariposa Mining Company (1863-65) in California. Ultimately, after the failure of the mining enterprise, Vaux convinced him to return to New York to rejoin him in completing Central Park and in designing their masterwork, Prospect Park in Brooklyn. Vaux had to work hard to help Olmsted realize where his talents were greatest and most needed. Andrew Jackson Downing, the author of widely influential books on architecture and landscape issues, had initially been one of the campaigners for the creation of a major public park in New York City. He would probably have become its designer if he had not died in an 1852 steamboat accident on the Hudson River. In 1850 Downing had hired the young English architect Calvert Vaux and formed a productive architectural and landscape design partnership. The following year, Downing collaborated with Vaux on a public park for the Mall in Washington, D.C. That same year, Downing contracted for another young architect from London, Frederick Clarke Withers, to join his “Bureau of Architecture.” With Withers’ assistance, Vaux continued the practice after Downing’s death, at first in a wing of Downing’s former home in Newburgh, New York. They formed a partnership sometime before 1857, when Vaux published Villas and Cottages, a book of designs for country houses, some of which he had designed with Downing, some alone, and some with Withers. Vaux would later form a separate partnership with Olmsted. Calvert VauxHistoric New England Although all three men would occasionally collaborate on later projects, they disbanded their partnerships in 1872. Vaux and Olmsted would team up again and remain friends throughout their lives. It must be mentioned, however, that the severing of their relationship was partially in response to tensions between the two men. As early as the competition for Central Park, a wedge was inserted when Olmsted was appointed architect-in-chief, and Vaux, the true professional, was reduced to the rank of assistant. This was partially because Olmsted was already serving as the superintendent of Central Park before the design competition was announced. Nevertheless, Vaux came to resent the growing assumption that Olmsted was the principal designer of Central Park, despite the fact that Olmsted frequently attempted to give Vaux equal credit for Central Park as well as for Prospect Park and other designs. 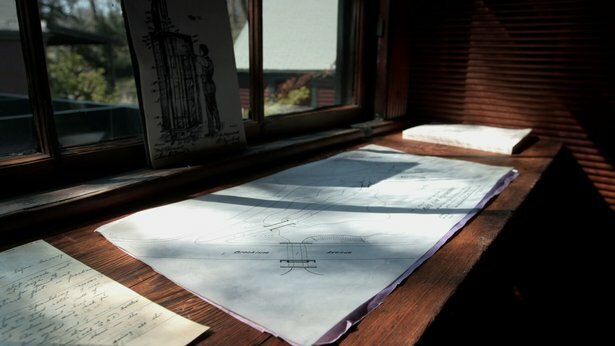 Essentially, Vaux introduced Olmsted to the profession of landscape design, showing him how a professional design office functioned and how it trained the next generation. The fact that both Vaux and Withers were trained in England influenced Olmsted. The habit of running a design firm from the base of a private residence would be a trend Olmsted continued into later life. John Charles OlmstedNational Parks Service After the closing of these partnerships in 1872, Olmsted was assisted by his nephew and adopted stepson, John Charles Olmsted, in their residential office on 209 West 46th Street in Manhattan. (Olmsted had married his brother’s widow in 1859, adopting all of their children). John Charles spent his early years as an adopted son in a house they occupied in Central Park during construction. Very soon, however, he moved on to Washington and then to California with his father and family, beginning to prepare for a career in landscape architecture. He spent two years (1869‒71) with Clarence King’s geographical survey of the 40th parallel, allowing him a broader experience of the American landscape. His next step was to pursue a degree in engineering from the Sheffield Scientific School at Yale University in 1875, where King had also been trained. Following graduation, John joined his father’s firm as a draughtsman, rising to the rank of partner by 1884, although he also traveled in Europe during 1877‒78. In some ways, John became the guinea pig for his father’s interest in developing a pattern for education in landscape architecture. John’s training in engineering and interest in architecture effectively complemented his stepfather’s talents. Olmsted moved his home to suburban Boston and established Fairsted, the first full-scale office for the practice of landscape design. Both Frederick and John started to spend more time in the Boston area in the late 1870s as they began their work for the Boston Park Commission. In 1883 they settled on the picturesque suburb of Brookline, Massachusetts, where Olmsted’s New York friend and former Staten Island neighbor, the architect Henry Hobson Richardson, had migrated in 1874 after receiving the prestigious commission to design Trinity Church in Copley Square, Boston. Richardson ran his office from his Brookline residence, training apprentices and young architects, much as he had been educated at the École des Beaux Arts in Paris. Soon after they established their new home office, the Olmsteds accepted the first of series of apprentices who would enrich both the firm and the emerging profession. 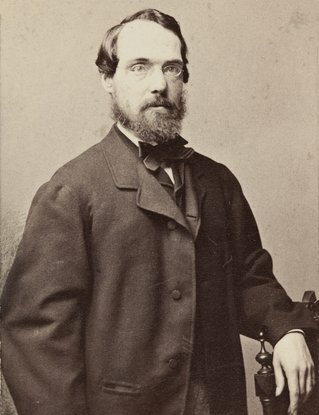 Charles Eliot, the son of Harvard president Charles W. Eliot, negotiated an apprenticeship through the connections of his father and his uncle, the Boston architect Robert Swain Peabody. Eliot had graduated from Harvard in 1882 and had pursued further training in agriculture and horticulture at the Bussey Institute, an adjunct Harvard program located in the Jamaica Plain section of Boston, before seeking an internship with the Olmsted office. The mentor and student developed a pattern of education, somewhat derived from what Olmsted had observed with Vaux and Withers, but enriched by both of their interests. Eliot read under Olmsted’s direction (although he had been a voracious consumer of landscape material already), traveled with the master to various sites in New England, and did routine drafting of plans and reports as necessary and according to his abilities; the schedule of activities vacillated between frantic work and long days with nothing to do while the senior Olmsted was traveling. After two years (1883-85), Eliot returned to finish courses at the Bussey Institute and then inaugurated two campaigns of study/travel – one along the East Coast of the United States and a second, longer visit to England and Europe. While abroad, Eliot read in the British Library, met with practitioners and academics to whom Olmsted and his father provided introductions, and traveled as far east as Russia and as far south as Italy, carefully recording his observations and criticism. Even before Eliot’s return to Boston in late 1886, Olmsted wrote and invited him to rejoin the firm. Eliot, however, preferred to establish his own practice in Boston. 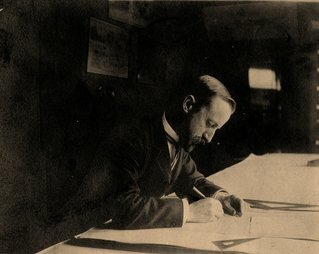 Prof. Charles Sprague SargentLibrary of Congress Design for the Arnold Arboretum of Harvard University.National Parks Service The pattern of Eliot’s apprenticeship also informed a second member of the Boston-area establishment, Henry Sargent Codman, who, became an apprentice after graduating from M.I.T. in 1884 through the intervention of two uncles – the architect John Hubbard Sturgis and Olmsted’s Brookline neighbor, Charles Sprague Sargent, the first director of Harvard’s Arnold Arboretum in nearby Jamaica Plain. 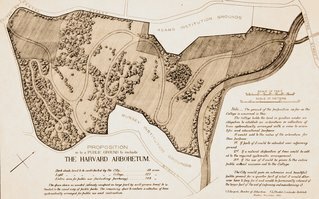 Indeed, Sargent had originally requested Olmsted’s advice and help on the laying out of the Arboretum as early as 1872, making this one of Olmsted’s first Boston-area commissions. Both Eliot and Codman worked on the Arboretum plans during their apprenticeships. Like Eliot, Codman embarked on a European tour of professional education after his two-year apprenticeship, studying with the French landscape architect Edouard André while abroad. He, however, returned to the Olmsted office and became a partner in the firm in 1889. He was at work on the plan for the World’s Columbian Exposition in Chicago in 1893 when he succumbed to infections following an appendectomy. The early years of the 1890s were a period of intense productivity in the office, so Olmsted entreated Eliot to rejoin the firm after Codman’s death, creating the partnership of Olmsted, Olmsted & Eliot. By this time, the need for other qualified office members made the education of the next generation a more urgent concern for Frederick. He, Codman and Eliot all contributed to a journal called Garden and Forest that was “directed” by Sargent from Brookline and edited by William Stiles in New York, and that became an important vehicle for Mariana Griswold Van Rensselaer, an art and architecture critic in New York who was keenly interested in landscape topics. Both Sargent and Olmsted encouraged her career and commissioned her to write a biography of their Brookline friend and neighbor, Henry Hobson Richardson, after his death in 1886. Van Rensselaer gathered together and expanded her articles and editorials from Garden and Forest to publish a book titled Art Out-of-Doors: Hints on Good Taste in Gardening in 1893. Although Olmsted and Eliot did not always agree with her opinions, the book was useful in bringing the career of landscape architecture to the attention of young men who began to inquire about training with the firm. After the death of Eliot from spinal meningitis in 1897, the need for new talent became more acute. Although Frederick and John Olmsted were able to pursue the office business alone in the 1880s, by the 1890s the practice had grown rapidly in scale and needed a larger staff. Surviving records list 25 individuals beyond the family members who were working for the firm for part or all of that decade. Some of these men went on to establish their own successful practices, but many remained members of the office for their entire professional careers. The noteworthy exceptions include Warren Manning, who joined the firm in 1888 as a horticultural specialist, having grown up in a family nursery business in Reading, Massachusetts. 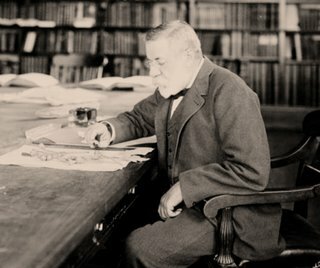 Manning eventually became the supervisor of planting for the firm until he left in 1896 to found his own office that became one of national prominence. Arthur A. Shurtleff (later Shurcliff), who came to the firm as an apprentice in 1896 and became an important member of the office until he left to establish his own practice in 1904, followed a similar trajectory. John Olmsted remained a central and stable figure throughout this period of exceptional growth, especially as his father began to withdraw from active participation in the firm around 1895. Similarly, Frederick Law Olmsted Jr., generally known as Rick, completed his degree at Harvard in 1894, entering the office the following year. Within a few years, and with the assistance of Shurcliff, Rick Olmsted developed the curriculum and began to teach in the first academic program in landscape architecture, opened in the Harvard University School of Architecture in 1900. At this point, the informal and evolutionary process of training new landscape architects within the Olmsted office was institutionalized with the blessing of Harvard President Charles W. Eliot, father of the deceased member of the Olmsted, Olmsted & Eliot partnership. In 1903 Frederick Olmsted Sr. died, but his sons, apprentices and draftsmen continued the firm’s legacy well into the twentieth century, making the Olmsted office a centerpiece of American landscape architecture and of landscape architecture education. The man and his companions created the first large-scale landscape architecture practice, experimented with the components of an apprenticeship in the field, and translated that knowledge into the first academic program in landscape architecture. Keith N. Morgan is professor of art history and director of architectural studies at Boston University. He is the author of Community by Design: The Olmsted Firm and the Development of Brookline, Massachusetts. 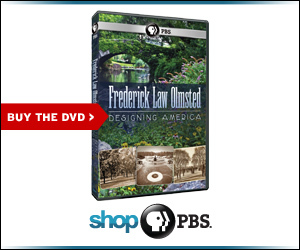 Frederick Law Olmsted: Designing America is a co-production of WNED-TV, Buffalo/Toronto and Florentine Films/Hott Productions Inc., made possible by major grants from the National Endowment for the Humanities: Exploring the human endeavor and The Margaret L. Wendt Foundation. With funding provided by HSBC, The Tiffany & Co. Foundation and The C.E. & S. Foundation. With additional support from The Peter C. Cornell Trust and Mass Humanities. © 2014 Western New York Public Broadcasting Association. All rights reserved.